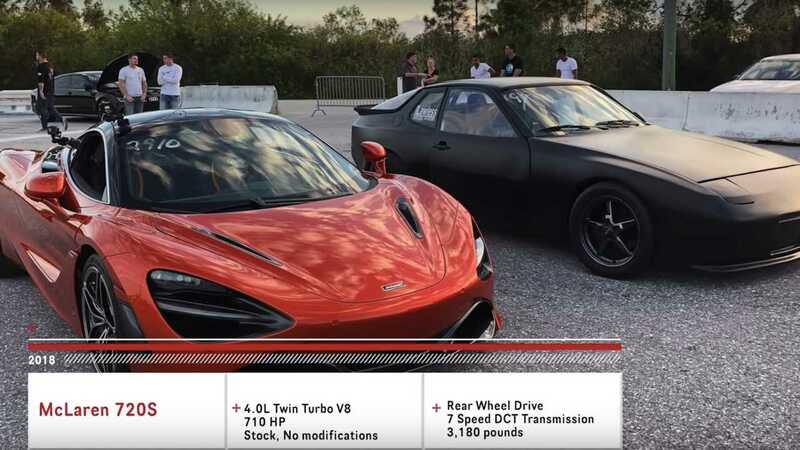 The McLaren 720S has been a favourite subject of drag races because it rarely loses. It does so a few times but it's because it had a bad start or it was up against a modified 1,000-bhp version of itself. Heck, it even won against two Lamborghinis and one Ferrari in a European drag race. And who would forget its win against a Bugatti Chiron and two Ferraris? With its track record, or should I say "drag race" record, the 720S is a force to be reckoned with when it comes to straight-line races. The McLaren 720S is powered by a 4.0-litre twin turbo V8 that produces 710 bhp. It's rear-wheel drive and equipped with a seven-speed dual clutch transmission. It weighs a total of 1,442 kg. On the other hand, the all-electric Porsche has dual 11-inch DC motors powering the rear wheels. It can produce up to 980 bhp and 1,500 pound-feet of torque while weighing only 1,111 kg. With higher output figures and lesser weight, we won't bother saving you the excitement of knowing who crossed the quarter-mile marker first as it's obvious that the battery-powered Porsche would win. What we'll leave up to you is this: did you notice the door of the Porsche almost tearing apart as it ripped through the quarter mile?